Join us for a unique opportunity to interact with Venture Capital & Private Equity executives and learn more about the state of today's investment community, including how start-ups raise money in the current economic environment in Texas. Cost: Free with registration. Please RSVP, no walk-ins allowed due to building security. Register NOW: This event has limited availability, so please register early. Cost: No Cost but you must register in advance. David Sym-Smith is a Partner at Mobility Ventures and CEO at Indotraq who has developed the fastest and most precise wireless indoor tracking system. David is a 25 year mobile industry veteran and has a solid record of building multimillion dollar operations from scratch along with profitable exits. David has served as senior executive of global corporations as well as a multiple startups. He has a proven record of success in launching new markets, starting new business groups, building sales channels, introducing new products and services, turnarounds, winning market share and exceeding all revenue and sales goals. David has also held senior management positions at Tele Atlas, InnoPath, T-Mobile, Sprint, AT&T, GTE, St. Gobain (France) and The Hay Group. He holds an M.B.A. from Pennsylvania State University – Smeal College of Business. Felipe Mendoza is the Managing Director of Aristos Ventures, a micro venture capital fund focusing on early stage technology companies in Texas. Felipe was formerly at Dallas based Silver Creek Ventures, an early stage, information technology, venture capital firm where he was the CFO and Associate. Felipe received a MBA from Southern Methodist University and a Bachelor of Science in Mechanical Engineering from Texas Tech University. He holds 5 patents with one pending. Scurry Johnson - Mr. Johnson founded Capital Conceptions Inc., a Dallas based Venture Capital Firm in 1999. Capital Conceptions invests in high potential new-physical-science-based companies and in leverage buyout /growth equity primarily in the oil and gas services and exploration/production sectors. Mr. Johnson co-founded Neuro Resource Group, Inc. ("NRG") and served on the Board of Directors of various oil services companies and of NRG and NovaCentrix/NanoTechnologies Inc. He was previously a Partner with Hass Wheat & Partners, a major buyout firm based in Dallas, Texas and a Sr. Associate of Mason Best Company, another Dallas buyout firm. Mr. Johnson served on the Board of Directors of portfolio companies at Hass Wheat and was an Investment Banking Officer at NCNB for over 2 years. Mr. Johnson was briefly with Goldman Sachs and Co. in Corporate Finance and Mortgage Finance in New York and was a Business Analyst with McKinsey & Company in San Francisco. Mr. Johnson received a B.S. 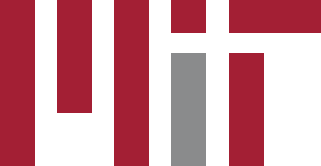 – Industrial Engineering from Stanford University and an MSM – Finance from the MIT Sloan School.